https://democracynow.org – Joaquín “El Chapo” Guzmán, the notorious Mexican drug kingpin, has been on trial in New York City for 11 weeks. 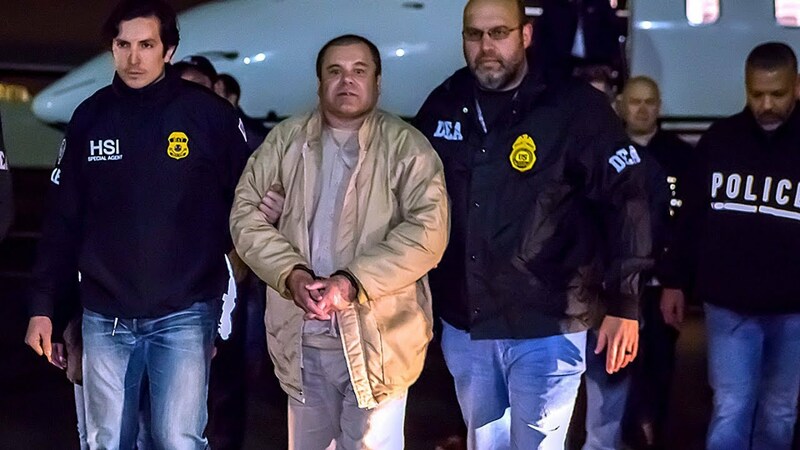 A federal jury headed into deliberations yesterday after more than 200 hours of testimony at the Federal District Court in Brooklyn revealing the inner workings of the Sinaloa Cartel, the major drug trafficking organization run by El Chapo. Fifty-six witnesses took to the stand with stories of murder, violence, spying, widespread corruption and even one tale of the drug lord escaping arrest in 2014 by climbing naked through a sewer alongside a former lover. El Chapo faces 10 charges, including leading a criminal enterprise, and could receive life in prison in the U.S. if convicted. The trial concludes as Donald Trump continues to call for a wall on the U.S.-Mexico border, which he claims will help combat drug trafficking. However, government data shows most of the hard narcotics seized by Customs and Border Protection come at legal ports of entry, not from people trying to secretly cross the southern border. We speak with Christy Thornton, an assistant professor of sociology and Latin American studies at Johns Hopkins University, who says El Chapo’s sensational trial is obscuring the truth about the so-called war on drugs.